Travel to Cuba just got easier. There are many reasons to go to Cuba now – a landscape free of advertising and the global corporate flattening of culture. Go now before Cuba begins to look like every other place! But what travel tools to pack for a country with a scant 5% internet coverage and frustrating dial-up speeds. 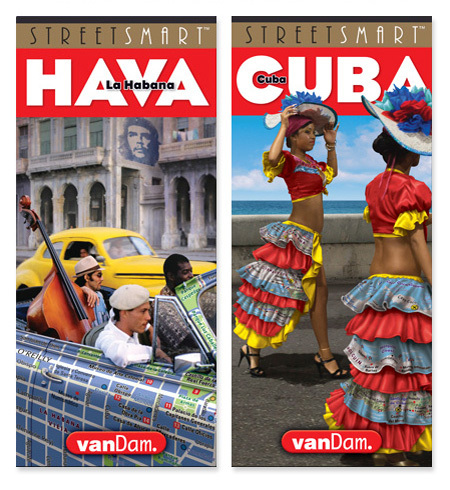 The 2015 edition laminated StreetSmart Cuba and StreetSmart Havana maps by VanDam may be your best bet. Gorgeous, highly legible cartography maps the latest hotels, resorts, restaurants and paladares (private, family-run restaurants) — just like VanDam’s award-winning maps to 85 other global cities. 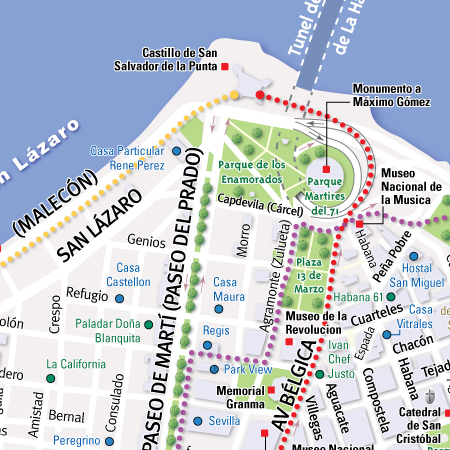 VanDam’s Havana StreetSmart map reveals the unique, non-gridiron plan of La Habana Vieja, the first fortified city in the New World. It’s all about the plazas. Let VanDam guide you to the hot spots in architecture, music, the contemporary art scene, through five self-guided walking tours covering gardens and plazas, musical venues, museums, art galleries and the Malecón. VanDam’s Havana StreetSmart maps both the detail of the historic center — La Habana Vieja — as well as the numbered grids of Vedado, Miramar and beyond to include greater Havana attractions such as the famous Finca Vigia – home to the Hemingway museum. Another detail map gets you to the beaches at Las Playas del Este. Online maps such as Google’s or Apple’s are generic and impersonal. Besides there isn’t enough internet infrastructure in Cuba to download them. Havana is a city frozen in time with its historic urban fabric largely intact. Luckily it avoided the 1960s Corbusian redevelopment schemes that destroyed so many world cities throughout the Americas. A veritable museum of architecture, Havana brims with jewels ranging from Plateresque, Cuban Baroque, Neo Classical, Art Deco, Streamline and mid-Century modern to Soviet Brutalism. While some individual buildings are eroding in disrepair, an ambitious preservationist program is gradually restoring Havana’s historic plazas in this UNESCO World Heritage City. 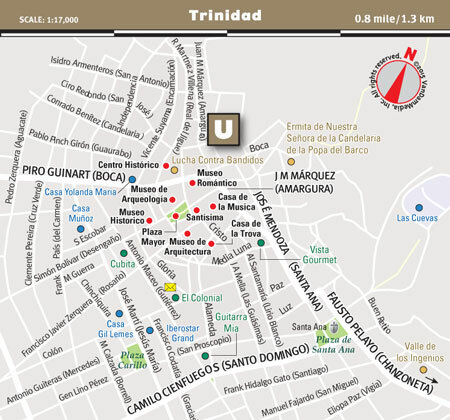 If you are exploring beyond the capital, VanDam’s StreetSmart Cuba country map provides a broad scope revealing the routes to the regions of the far West and the network of Spanish Colonial towns – more plentiful than on any other Caribbean island — from Trinidad, another UNESCO World Heritage site, on the southern shore to Santiago de Cuba in the East, the source of so many of the African and Haitian derived riches of Cuban culture. 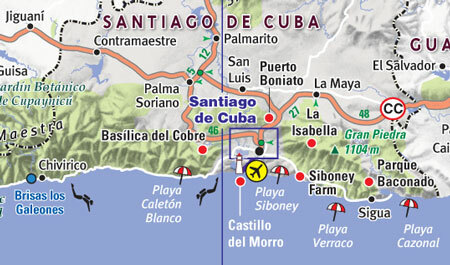 VanDam’s Cuba also provides context and detail maps to the dozens of magnificent beaches along the northern coastline and the towns that provide access. If you’re not already a Cuban music fan, go to discover the riches of a musical tradition that combines the polyrhythms of West Africa, the contra-dance from Spain and France, religious traditions and folk music from Haiti with the 19th century classical themes of Cervantes and Saumel. These themes can be heard through the popular mambo songs of the 1950s, jazz traditions from the past fifty years along with hip-hop sounds and dance moves bouncing back and forth between Havana, Miami and NYC. And then, there was Bebo. Driving through the countryside you will discover mangoes as big as your head and lobster so fresh they may swim off your plate. Experience Cuba using a masterful physical print map as your guide and souvenir. Re-experience the contextural power of the printed map. And the sensual pleasure of maps as physical objects. Maps so beautifully designed that you want to keep them for your memories of enlightenment. Buy 2015 StreetSmart Havana map by VanDam: $8.95. 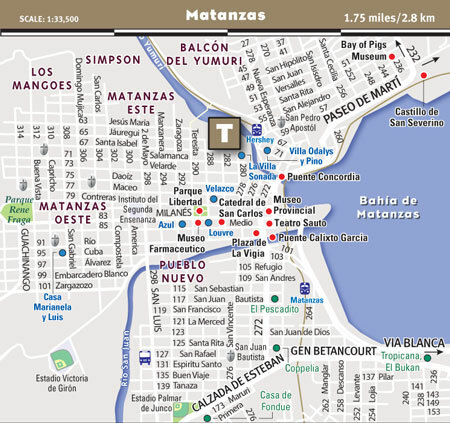 Buy 2015 StreetSmart Cuba map by VanDam: $9.95. © 2015 VanDam Blog. All Rights Reserved.